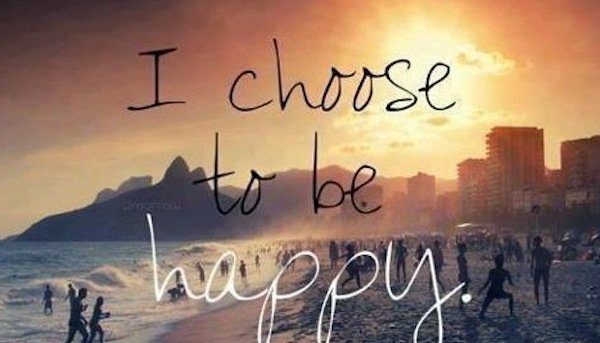 What is happiness to you? What does it mean to be happy? Is there a measurement for how you are doing in life? Is life like dieting? You make some good choices and some bad ones and hopefully happiness is ending the day with more good ones than bad? I wish I knew the answer to my questions. As for me, and hopefully my house, we are happy. I am happy. However, many simply are not. It's those people I wish I could give an answer to. 1. Follow God. Even if He hasn't made Himself known to you in ages. 2. Marry the right person. He or she will save your life before their own. If you don't believe they were the right person, give them a chance to be. 3. Find a career you can tolerate. The saying that "If you love what you do, you never have to work a day in your life" is only for the rich. Real people hate going to work. Find something you don't hate completely. 4. Always have something to look forward to. You will save your family if you risk debt to go on a family vacation. Go and laugh and soak up every moment. 5. Stop wasting time on people that hurt you. Instead invest your time into the people that love you, even if they annoy you. They will be the last ones standing with you. 6. Try to be nice to everyone: even the people that frustrate you. It hurts both of you to be mean. It benefits both of you to be nice. 7. It's so cliche, but slow down and try to enjoy moments. Sitting and watching a television show with your loved ones may seem trivial, but life is short, and one day when you are gone...they will remember. 8. Give people a chance. I've learned the hard way that you should never judge anyone by first impressions. Wait it out. I think you will find some really great friends this way; even though most will probably confirm your initial reaction. 9. Don't be jealous of anyone. We are all messed up in one way or another. If someone seems to be perfect or have figured it out...know that it's fake. No one has it figured out. NO ONE! 10. Lastly, don't keep secrets. The horrible truth is far less damaging than the horrible lie. At least you can still be trusted and respected. Without trust and respect, you really aren't anything special at all. So there is my completely flawed and incomplete list of things I've learned about being happy. Life isn't just for you, it's for everyone else around you as well. We are all connected. Remember that you effect the people you see every day; even if you aren't happy where you are.